The back is almost as fun as the front, with that little pinwheel design showing up! 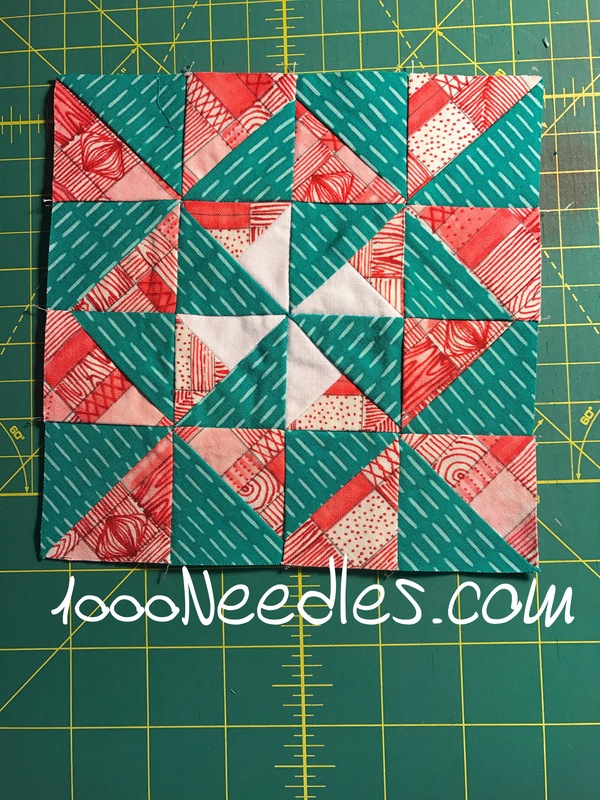 I really like the fabrics you’re using; the colors are so fun. It’s a great looking block and very precise. 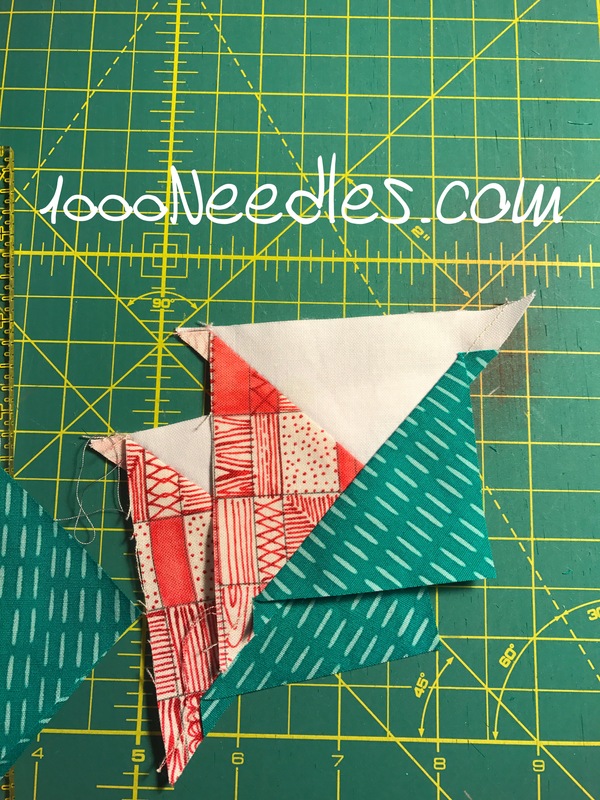 The hsts aren’t so bad when you know the magic formula. Technically, it’s finished size plus 7/8″. I always add an inch and trim them, because then they are absolutely perfectly straight. 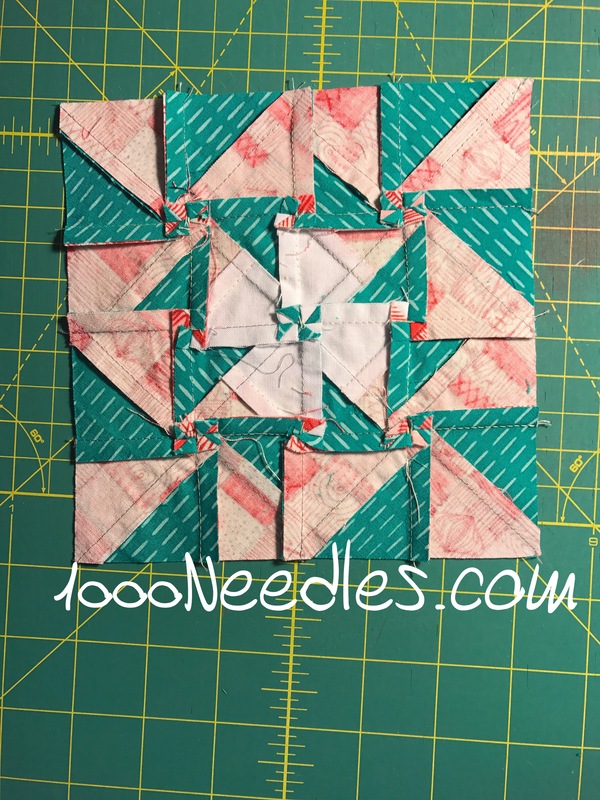 If you do that, keep the ruler diagonal straight on the middle seam, trim half the extra from two sides, flip it and trim the rest to make it the perfect size. 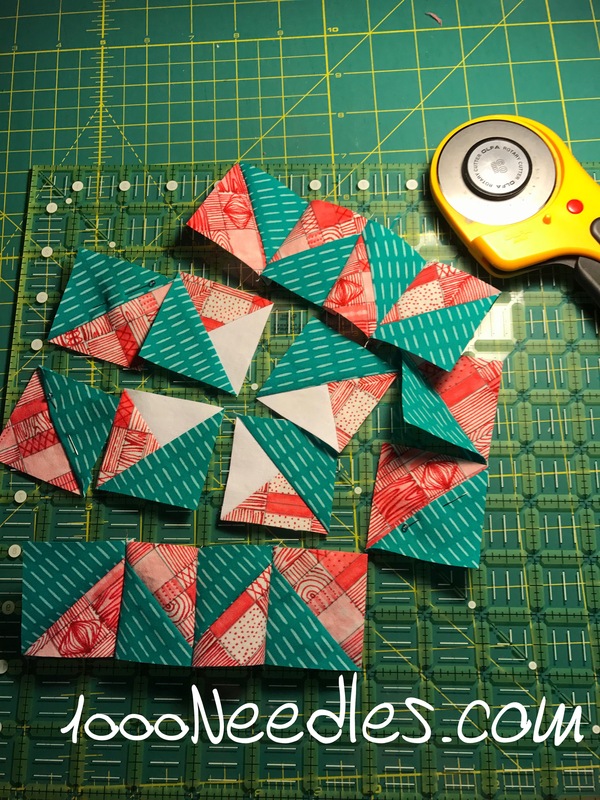 So for 1.5″ finished, for example, I would cut 2.5″ and stitch and trim to 1.5″. Or you can cut to 2-3/8″ and not trim. Yikes! That’s a lot of little pieces. Looks great though.